Here's how to find treasure maps in Fortnite Battle Royale, so you can track down buried treasure locations and complete this Fortnite Week 4 Challenge. As part of the Fortnite Week 4 Challenges, you're going to be tasked to track down a few buried treasure items around the map. In this Fortnite Buried Treasure guide, we'll be explaining how you can use the Fortnite Treasure Maps to track down Buried Treasure nearby, and complete this challenge while scoring some powerful weapons. With Fortnite Season 8 well underway, there’s been a ton of changes to the way the game plays and functions for all Battle Royale players. For a full recap of all the changes made, as well as new skins and challenges, head over to our Fortnite Season 8 guide. Right now, there’s still a lot of mystery surrounding the ways you find and claim treasure maps for yourself in Fortnite Battle Royale. 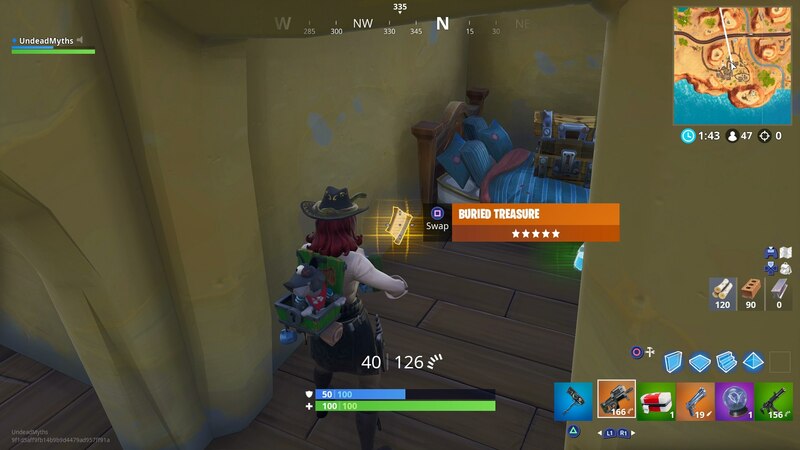 But from what we’ve played and seen, it appears that treasure maps are entirely random loot drops in Battle Royale. This means you’re going to happen to stumble across a treasure map either through looting a chest, or by just finding it as floor loot. We’ve seen cases of treasure maps being found through both instances, although it appears you stand a slightly better chance of finding a treasure map as floor loot. 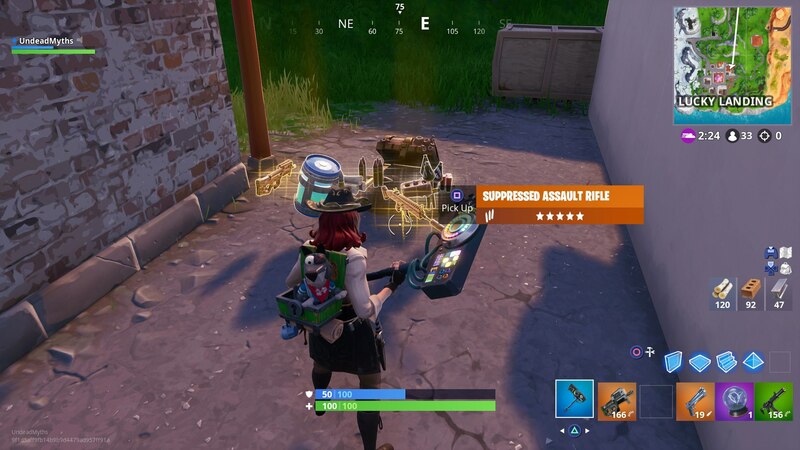 Once you’ve found the treasure map in Fortnite, pick it up, and it’ll take up an item slot in your inventory. 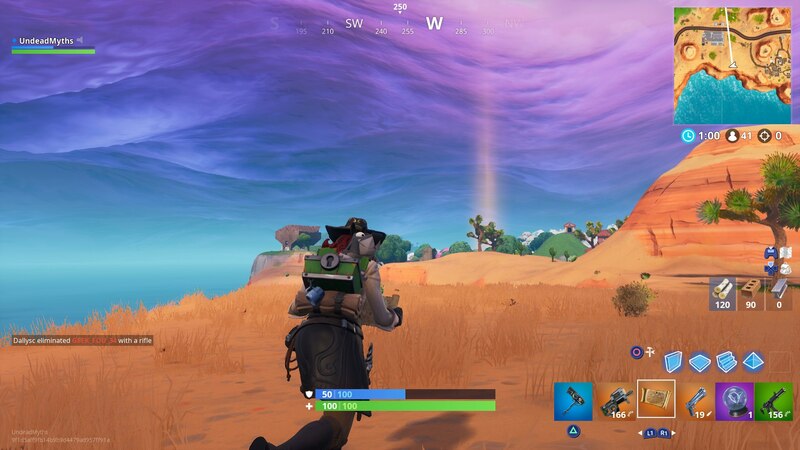 Now equip the treasure map, and somewhere in the surrounding vicinity, a golden pillar of light will beam up from the ground. The buried treasure itself is at this golden pillar. There’s no need to solve any riddles or puzzles in order to claim the buried treasure, all you have to do is spot the beam of light while you have the treasure map equipped, and go to the source of the light. 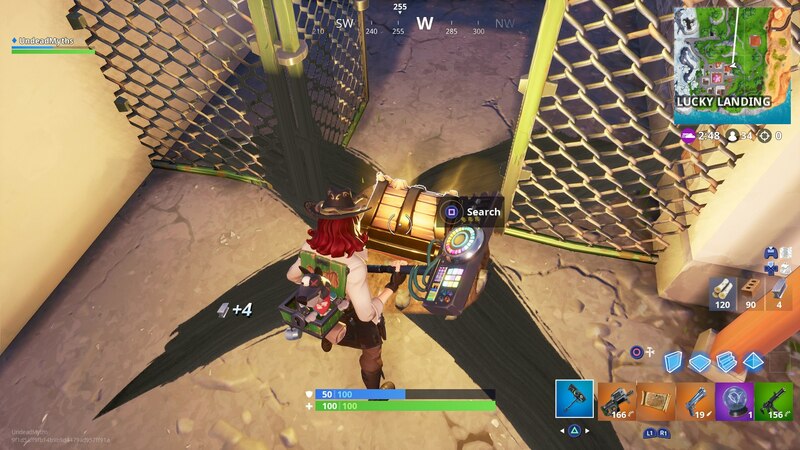 Think of the treasure map as your own personal supply drop in Fortnite. 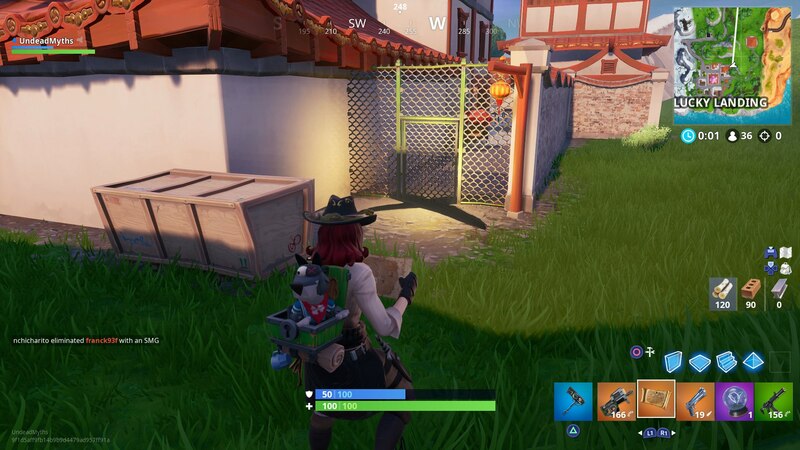 Only the person that has the treasure map may see the final location of the buried treasure, and so if you can make it to the spot marked in the surrounding area without dying, you’re free to dig up the legendary loot with your pickaxe. It’s worth noting that if you kill a player that has a treasure map on them, you’ll be able to pick it up and use it, but only if they haven’t found the buried treasure that the map points to. So you can always claim maps from players if you kill them, but you obviously stand less of a chance of finding one through this method, than if you scour the map for your own treasure map. Fortnite Season 8 is well underway. We've got all the info, including the Fortnite Week 3 Challenges. We've also got The Fortnite Expedition Outpost Locations. Tagged with Action,	Battle Royale,	Co-op,	Epic Games,	Guides,	PC,	PlayStation 4,	Shooters,	Survival,	Switch,	Xbox One.